For Kids Clothing Week Challenge, you are meant to sew for an hour per day, it's a fun way of getting into a little sewing for your children. I have really enjoyed it so far, although this is all I have finished there are still a few unfinished items, that need attention. I used the Quick Change Pants pattern from Handmade Beginnings by the talented Anna Maria Horner. It's a lovely book, which I highly recommend, she explains things quite well and if you look on the Flicka group you will see that the Quick Change pants are very popular. 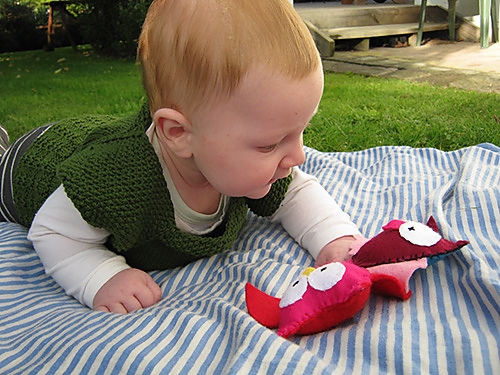 The pattern is sized from 0-3mth to 18 - 24mth and is perfect for using special scraps of fabric that you just can't give up and really want to showcase. The really cool thing is that the pants are reversible and if you need to change a top you can just reverse the pants for a co ordinating outfit when you are out and about. My only mod was to use some fold over elastic as I love how easy it is to use. 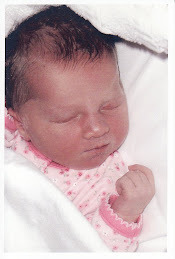 In august our much anticipated niece arrived, the very sweet Kate. Who we are very excited to be meeting at Christmas time. Her parents aren't big fan's of the traditional pastel baby colours such as pink. Which I really have to agree with, so I was delighted to find this perfect red in my stash to knit this wee cardi. I used my special skein of Vintage Purls Max sock yarn which I had been saving. Vintage Purls Max is wonderful to knit with, and I can't wait to knit something else with it. 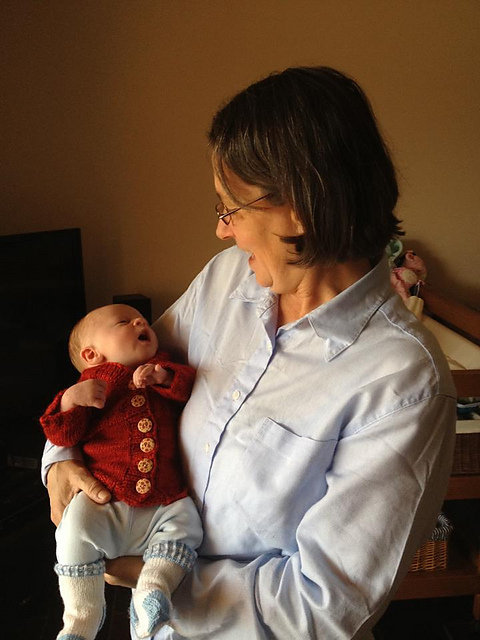 I tested the prem size for this gorgeous Tiny Amy Cardi for the very talented Sarah of Sezza Knits. The pattern is very well written has cool techniques, like cabling without a cable needle which I am so very happy to learn as it saves so much time. It was perfect for the Tobias Cardi which I knitted next. I love the V neck on this design, which is so practical for babies short wee necks and looks great on older children too. The big sister design the Amy Cardi is sized from NB to 12yrs so it's a great value pattern. I can't wait for the adult pattern which I hope to test. I was inspired by the tall trees of Eastwoodhill Arboretum, New Zealand, to design a practical textured tee and wee owl for endless entertainment hidden in the front pocket. Perfect for distracting your wee one while you lounge around in the shade of a dappled tree on long summer days. The Woodland tee is a raglan tee worked from the top down in the round with seed stitch and waffle stitch details. 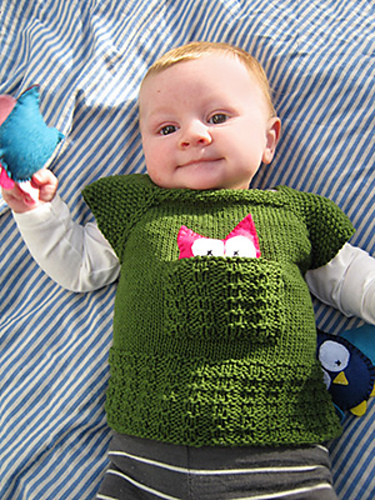 The pattern also includes a waffle stitch pocket sewn on with whipstitch or your preferred method, and contains a hand sewn owl softie made from wool felt scraps. The Woodland tee would knit up nicely in a light dk 8ply or heavy sport weight 5ply wool or wool blend yarn for extra warmth in the cooler seasons. These are just a few of the many suitable yarns the Woodland Tee, I can't wait to see some more knitted projects. I'm so excited about this Design, the first of many to come. I already have another swatched and couple of others in the planning stages. It's October again and it's time for a month of daily blog posts, with the annual blogging festival called Blogtober which is hosted by the lovely Kat of the I saw you dancing blog. So go on, have a look at what everyone is up to, and join in if you feel like it. There are over 230 blogs participating this year, wow so much talent in one place. And finally here is my finished Griffin test knit by the very talented Tikki of Tikki Knits. Here's Corrin in one of my latest test knits, Tobias. 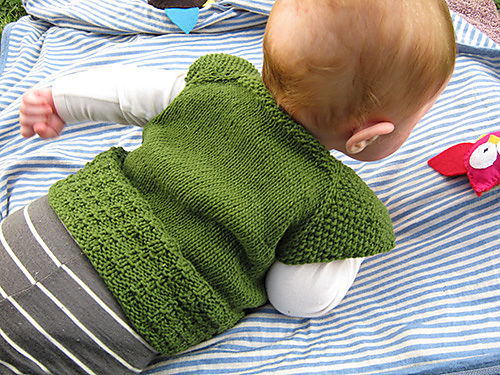 A very sweet cabled cardi for our wee leprechaun by the very talented Georgie of Tikki Knits. I used some gorgeous 'Bark Fairy' 8ply superwash, dyed by the very talented indie dyer Jo of Jodulbug. Tessa decided she needed to get on the photo action. I'm so glad she did, they look very cute together, these are some my favourite photos of them together. Another test knit for Georgie in progress, a Griffin sleeveless hoodie. I have been knitting this with Mosaic Moon 'Bean Sidhe' and 'Moonlight' semi on BFL Aran, a stunning yarn from Morwenna. I can't wait to finish this, it's a very clever pattern. Last weekend I was lucky enough to get some time in the sewing room uninterrupted, and these are what I created. Some cute size one Summer dresses, which seems bizarre as we have just had the wettest July in over 20yrs. The above dress is my favourite, which is yours?